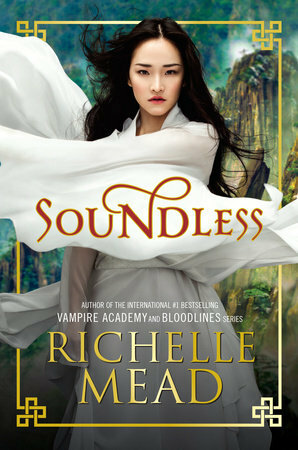 I do love a Richelle Mead book and this one brought a new feather to her hat. With a different type of mythology and setting than her previous very American and supernatural based novels. Fei is a young girl who is struggling with the fact that her village is becoming more and more disabled. Having been deaf for many generations, there is a new epidemic of blindness coursing its way through the population, leaving there reliance on the miners in doubt as more and more are unable to work. When her sister begins to go blind and can no longer disguise it Fei feels she has to do something. Fei is the first of her village in generations to be able to hear, after one night waking up to a searing pain in her head, and a buzzing in her ears. With the help of Li Wei (the love interest) they embark on an epic journey to fix what they don’t understand. I’ve read a lot of criticism online about this book and where I would agree it certainly isn’t Richelle’s best work, however this doesn’t detract from the story. Many have complaints about the lack of answers in the first half of the book, what i say to counter this is that if the main character doesn’t know, how would we know? To fully understand what has happened you have to read until the end, and this is where the answers are, the Chinese folklore can be found latterly too, don’t just claim a book has missed all that it has said was present when you cannot be bothered to finish it. This book has enough plot and substance to make for an interesting and thought filled story and once you get use to the writing style that italics represent sign language there is little to complain about and this book will quickly be read. However I will say that Richelle’s strength lies in stories told over multiple books where worlds can be fully explored and the reader can become attached to characters.